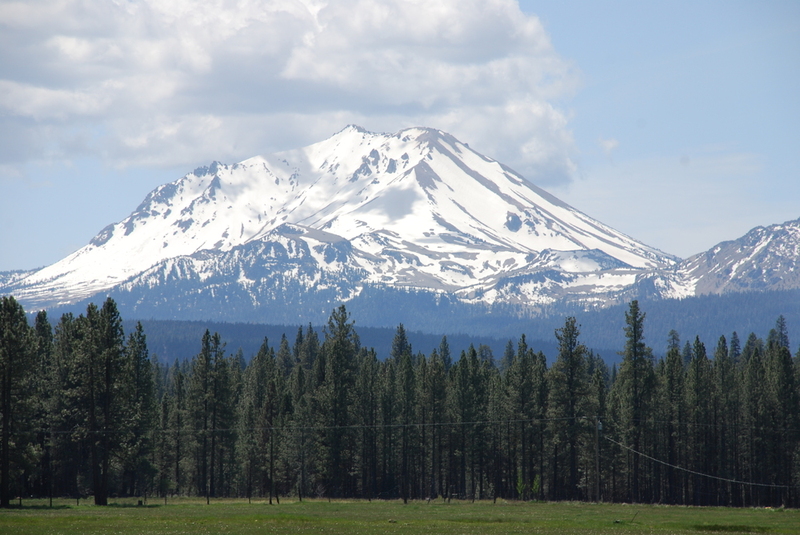 The owners of the Swicegood Ranch (now Keating Ranch) donated a conservation easement to Shasta land Trust in 2006, protecting a unique 152-acre ranch in eastern Shasta County. The ranch includes irrigated pasture that is used by cattle for half the year and a locally unique expanse of mountain meadow habitat. With large timber stands surrounding over half the ranch and rural residential development bordering the remainder, the Keating Ranch provides critical open space for many species of wildlife. Located near the community of Old Station with stunning views of Mt. Lasssen, the Keating Ranch includes a portion of Hat Creek which meanders across the ranch. The riparian corridor provided by this part of Hat Creek is used extensively for wildlife habitat. The conservation easement allows for continued ranching with one residence. The beautiful setting of the Keating Ranch will never be covered by dozens of houses and it will continue to provide important benefits to the wildlife and community in the area.